Whether you are metal detecting in Alaska, treasure hunting, or panning for gold, you need to understand the laws of antiquity, which do relate to all of the above. Although the words, “metal detecting”, or “treasure hunting” are not mentioned in the Alaska law, the law does pertain to the digging of artifacts. Below is a copy of the Alaska laws that pertain to metal detecting in Alaska. The Alaska laws follow the laws of ARPA. ARPA (Archaeological Resources Preservation Act). To understand ARPA, please visit my laws page. It's important to understand that I am giving you information about the laws that deal with Alaska State lands. 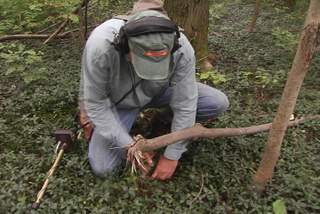 Check with your local villages and towns for their treasure hunting laws. Sec. 2. That the President of the United States is hereby authorized, in his discretion, to declare by public proclamation historic landmarks, historic and prehistoric structures, and other objects of historic or scientific interest that are situated upon the lands owned or controlled by the Government of the United States to be national monuments, and may reserve as a part thereof parcels of land, the limits of which in all cases shall be confined to the smallest area compatible with proper care and management of the objects to be protected: Provided, That when such objects are situated upon a tract covered by a bona fide unperfected claim or held in private ownership, the tract, or so much thereof as may be necessary for the proper care and management of the object, may be relinquished to the Government, and the Secretary of the Interior is hereby authorized to accept the relinquishment of such tracts in behalf of the Government of the United States. 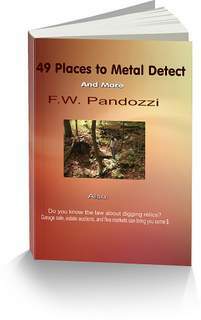 Metal Detecting in Alaska, or any treasure hunting can get you arrested. Sec. 3. That permits for the examination of ruins, the excavation of archaeological sites, and the gathering of objects of antiquity upon the lands under their respective jurisdictions may be granted by the Secretaries of the Interior, Agriculture, and War to institutions which they may deem properly qualified to conduct such examination, excavation, or gathering, subject to such rules and regulation as they may prescribe: Provided, That the examinations, excavations, and gatherings are undertaken for the benefit of reputable museums, universities, colleges, or other recognized scientific or educational institutions, with a view to increasing the knowledge of such objects, and that the gatherings shall be made for permanent preservation in public museums. Metal Detecting in Alaska Can Be A Great Experience. Metal detecting in Alaska ghost towns can be a great adventure. My eBooks can be purchased as a special Bonus Package.